The newly formed Health and Social Care Partnerships are jointly accountable to the NHS and local authorities. The partnerships are accountable to the Cabinet Secretary for Health, the leader of the local authority and the public for the delivery of the nationally agreed outcomes which will focus initially on improving older people's care and will be included in the Single Outcome Agreements. A single, jointly appointed, senior accountable officer in each Partnership will ensure that partners' joint objectives are delivered. a)	The change triggers in organisations are beyond the direct control of most of those affected by the change and yet little cognisance is taken of the emotional and motivational impact these changes have on people. Empirical evidence shows that people need to go through a process of endings, transitions and new beginnings and yet there is a tendency for those leading change in organisations to jump to the new beginnings as soon as the change is announced, without giving due attention to how people are reacting or the endings they are experiencing. This often results in a real dip in productivity as the new policies or new structures are implemented. With a little bit of attention to “ending well” and “transitioning well” in addition to “starting well”, this disengagement and productivity dip can be minimised. b)	In addition to the challenge of change, we have to account for the individual and collective organisational psyche, the dynamics between individuals, between individuals and systems, and the psychological level of the contract; that which is the unconscious and therefore unspoken; the beliefs, values, fears and hopes that get in the way of success. This can be explained by the work of the Grubb Institute. Studies by Edmondson (2002) show that the more people feel they can be open with their colleagues about work and interpersonal issues, the greater the learning that takes place, and as a result, the more effective the team is. The challenge in bringing together individuals, teams and whole systems, is the level of complexity that exists, if not in reality, then at least in the minds of the group members, for example, in relation to professional hierarchy and existing systems and processes. Speaking from a systems perspective, this is a boundary issue. Boundaries around systems and subsystems serve an important function; they help identify who is inside and who is outside the system. They enable individuals to create a mental image of the systems they are part of and give them an identity. Rigid boundaries, however, can impede collaborations between teams and departments and can fuel conflict. A key part of the process of integration was supporting those involved to create psychological safety, appropriately permeable boundaries and healthy interpersonal relationships. Those involved in the project are sophisticated professionals who were far beyond attending a simple one/two day workshop where they focused on “getting to know one another’s personality in more depth”. Designing and delivering a development intervention of this nature was unlikely to create effective forward movement for the group concerned and at worst could further increase the resistance to the change and to the work required within the context of the new organisation’s objectives. In order to create a successful foundation on which the organisation’s objectives can be achieved, the intervention had to integrate the needs of individuals, teams and the whole system. Most groups are task focused and need support to work with the tension of task; relationship and team learning. We believed that this group were most likely to benefit most from the creation of a collective space which allowed them to come together for the express purpose of thinking about the work they do; to pause as a group and reflect on what they have learned and how they will internalise the learning; to consider opportunities rather than continuously focus on problem solving. We laid the foundation for success in the team coaching in the initial contact with individual team members through one-to-one interviews. The objective of this stage was to explain the concept of the learning team, the process of team coaching, and the strong connection to the business goals. In these interviews, team members were invited to consider their own learning needs and what they consider the team needs to do to be successful. The contract was for 6 team coaching session (with three monthly reviews and an option to contract for a further 3 sessions). The team coaching sessions took place once a month as part of the team’s on-going business/meeting agenda and the sessions were 3 hours duration. We held regular review sessions with the Senior Managers leading the project to ensure an integrated approach to the work. In the interest of openness and transparency the whole team were advised that the coaches were having review sessions with each other, to reflect on the work and with the Senior Managers. In the interest of transparency, trust and the creation of psychological safety it was important to be clear with the whole team what the contract was with the organisation. It was considered important for each member of the team to be offered the opportunity of individual coaching sessions to support their development as they work with the team coaching process. The coaches involved in the team coaching would not take on any individual coachees from within the team. We have no data on how many of the team took up individual coaching due to the confidential nature of this process. There is pressure to measure the effectiveness of any type of coaching intervention, with coaches and sponsors feeling driven to demonstrate a high return on investment. Evaluation creates many challenges, not least of which is the fact that they rely on self-reporting by participants and sponsors, both of whom tend to have vested interests in positive outcomes. This form of evaluation lacks evidence of cause and effect, an issue we will come back to in the third paragraph below. When we completed the project, however, interviewing a random sample of the participants involved in the team coaching was the most effective route to getting some evaluation data. In designing the evaluation data collection process we were mindful to deal with both collective and individual outcomes. It is possible that everyone in a team can make individual improvements in performance without any significant positive impact on collective performance. In the team coaching process there is also the issue of timescale, in that some forward movement will be achievable within the life of the intervention, but the deeper more beneficial outcomes may not occur until much later. The most important outcome for a project of this type if often propensity – the creation of a capability for change that may only be exercised with future circumstances and opportunities. With this in mind, we suggested a team performance review against the nine recurring behaviours mentioned above with a focus on the extent to which this is how the team “do business” and a measurement of how this way of doing business is impacting overall team performance be conducted at a point in the future. In designing the evaluation process we were keen to have more than a tick box exercise, so we designed a semi-structured interview process which asked the “interviewee” to assign a score to 12 statements and also to comment on each of the statements in order to create a narrative. •	To what extent does the team have a greater understanding of internal dynamics as these affect performance? o	What are they doing with this understanding? •	To what extent does the team have greater understanding of the internal and external context in which it is working? o	How is this supporting performance? •	To what extent does the team have greater clarity about the work they are doing together? •	What are they doing differently? •	What impact can they define and attribute to team coaching? •	Who outside of the team would notice the difference? Everyone surveyed stated that they had personally grown as a result of the team coaching process. Most people said that they felt more confident to speak up, to challenge others and to disagree respectfully. Defining the impact of the process on the whole team was well-nigh impossible, given that they hadn’t been considered to be a team prior to the intervention. Around 80% of those surveyed said it was their sense that the success of the partnership work that was being done in many of the smaller groups could in part be attributed to people having the space to know and understand one another better in the team coaching process. A number of people said that they thought the team coaching process would have yielded more positive outcomes had it come later in the evolution of the team. Their reason for saying this was their sense that the team probably needed to get into meetings “to do the business” and let the dynamic unfold before they started to look at the interpersonal process through team coaching. In a general sense people were positive about team coaching, and the reported experience was that it has impacted significantly on individual development and on team development. For reasons of client confidentiality we are unable to share the full evaluation report but should anyone be interested we can seek client approval to share the evaluation outcomes with prospective clients. 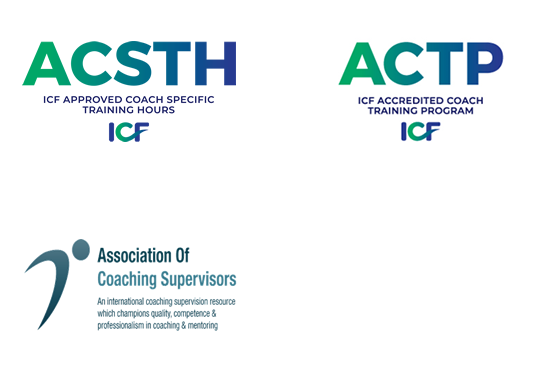 We are on of very few consultancies in Scotland who have accredited Team Coaches. © Sandra Wilson Consulting Ltd.